… that’s what I feel like God is calling us to do in scripture; to meet with Him daily. I know when I say that it’s easy to get legalistic … marking it off your checklist. ‘I had my quiet time: done!’. Happy Wine Wednesday Everyone! Today on Wine Wednesday, I’m featuring a white that I really love. 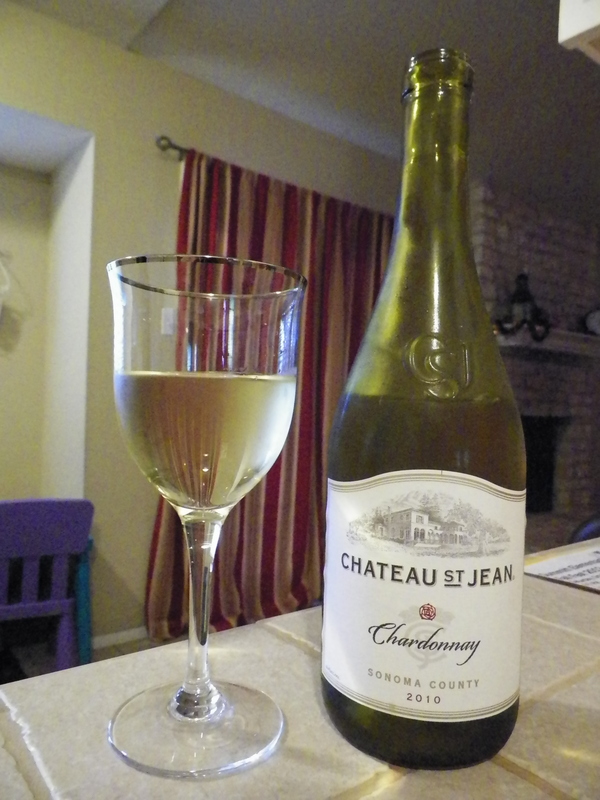 It’s the 2012 Chardonnay from Chateau St. Jean, a winery in Sonoma, California. I like this wine so much that I visited their website one day. The estate looks beautiful!!! I’d love to hear about it if you’ve been there. I’ve actually never been to any winery; it seems like so much fun. Enjoy a glass of this Chardonnay very soon and let me know if you liked it too! Happy Wine Wednesday! *Disclaimer: I’m not a wine connoisseur. I’m nowhere near that; I’m just a girl who likes a glass of wine here and there. I have a few I like more than others and I thought I’d share them with you in a new thing I’m doing called ‘Wine Wednesday’. Enjoy! Y’all … we had THE BEST dinner the other night. Every once in a while I do a ‘help-me!’ shout-out on Facebook asking my friends for all their favorite dinner recipes. Have y’all ever done this? It’s awesome. I always come out on top with great recipes!! In a medium bowl, whisk together all of the poppy-seed sauce ingredients. Pour evenly over all of the sandwiches. You do not have to use all of the sauce! Just use enough to cover the tops. Let sit 10 minutes or until butter sets slightly. Cover with foil and bake at 350 degrees for 12-15 minutes or until cheese is melted. Uncover and cook for 2 additional minutes or until tops are slightly brown and crispy. Serve warm. 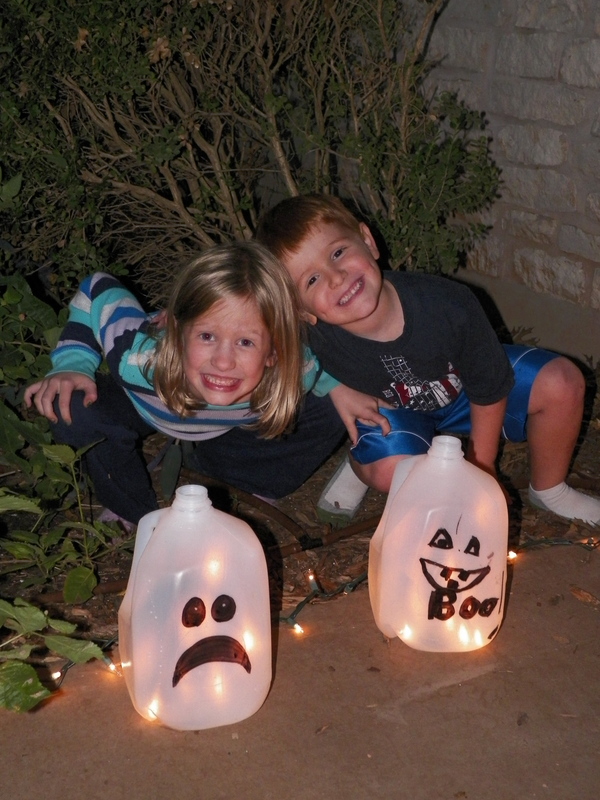 A while back I found a Halloween craft on Pinterest. (By the way, are you on Pinterest? It’s awesome. Anyone can join anytime. It’s a virtual bulletin board.) I found this pin way back sometime this summer. So I just pinned it to my Halloween board and pulled it up last week to finish it. The only real prep I had to do for it was to save my milk cartons for a few weeks so we’d have enough. My 7-year-old had a great time doing this. She loves to be creative and she loves to decorate for changing seasons and holidays. 🙂 I love that about her. My 4-year-old decided to play drums on the finished product! Last but not least … after the sun went down … we were able to enjoy our finished product! 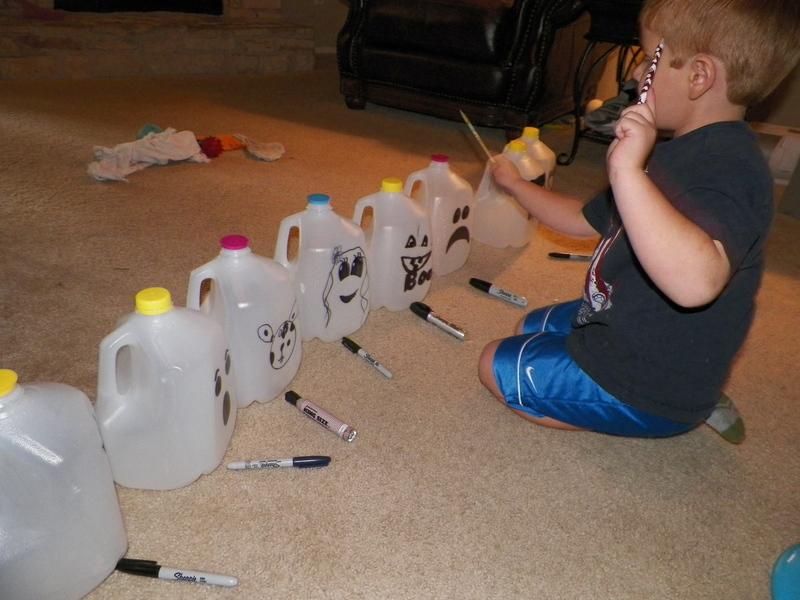 This was super easy and super fun, why don’t you give it at try at home with your littles? The ‘how-to’ is below! 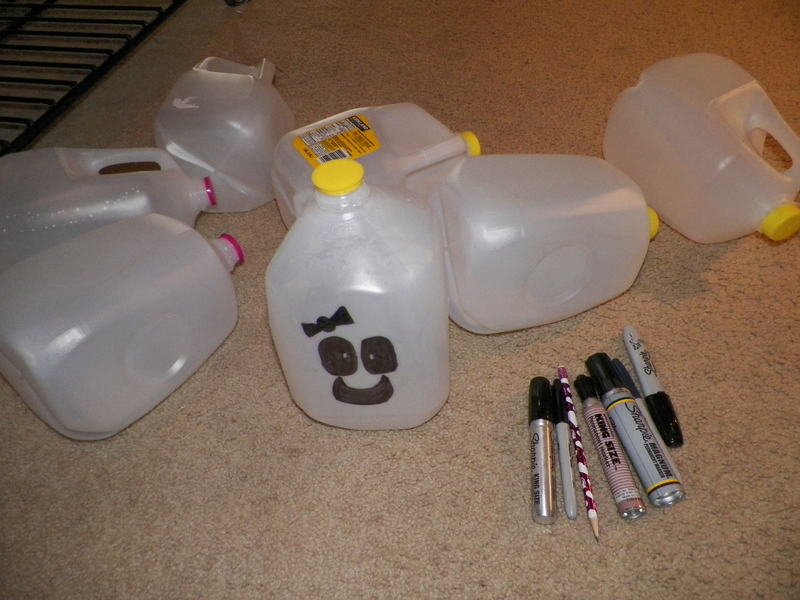 Wash and dry out a few milk or bottled water cartons. 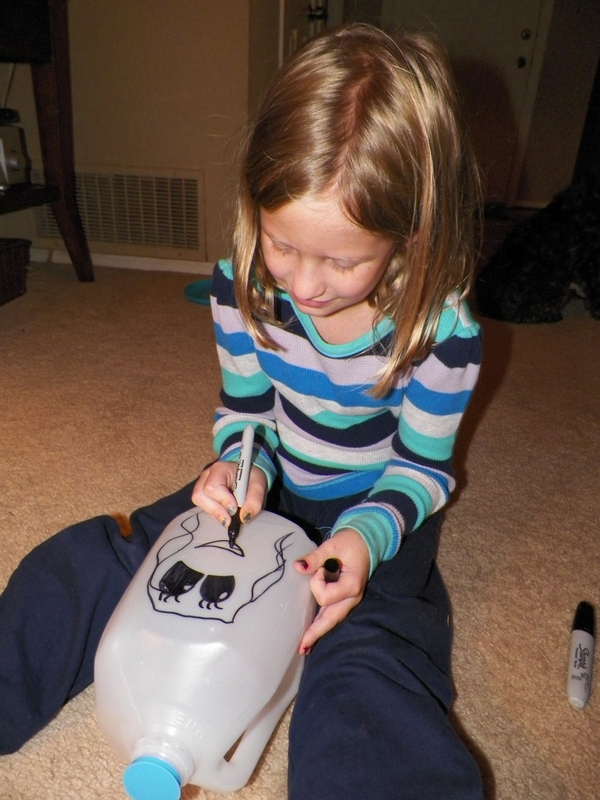 Draw faces on the front with a Sharpie marker. Next, cut a hole big enough to fit the string lights in on the backside of the carton towards the bottom with your craft knife. 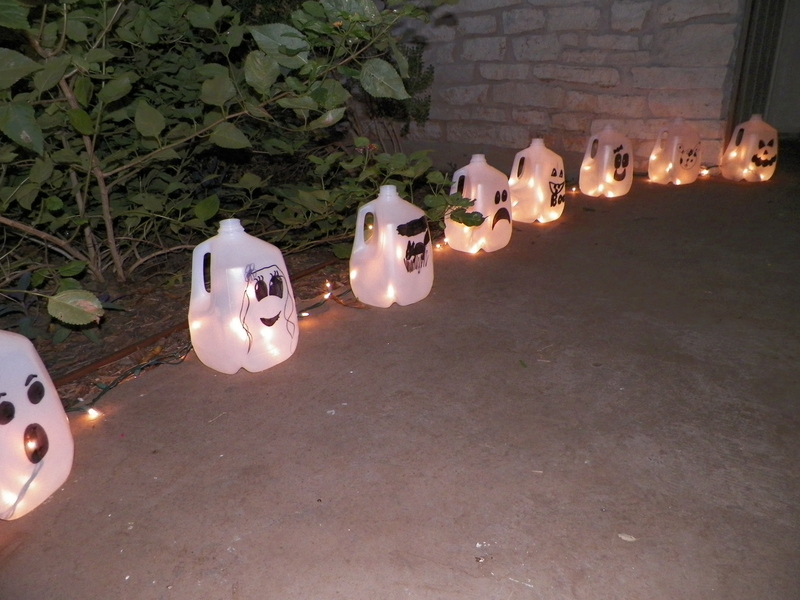 Arrange your milk cartons where you want them and divide up the lights between the cartons. 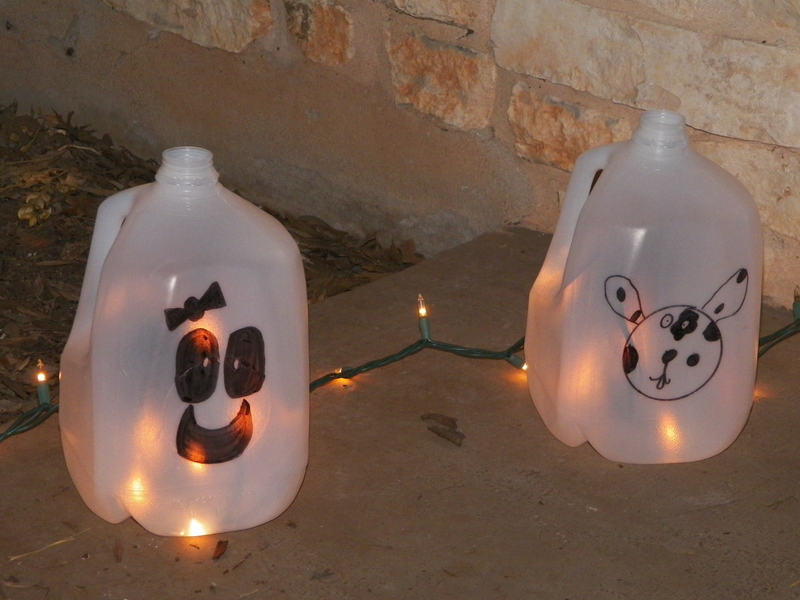 Push some of the lights in the back hole of the milk carton and string them between all the cartons. Then plug the lights in and enjoy! Have you ever heard of Wine Wednesday? I’m not sure where it came from … but I like it! I watch this show on TV called Cougar Town. Don’t judge me … It makes me laugh, and I like that in a show! On Cougar Town, they do Wine Wednesday. When I finished up a bottle this summer … I took a picture of it and decided you needed to know about it. Have you ever had a Malbec? I like it. 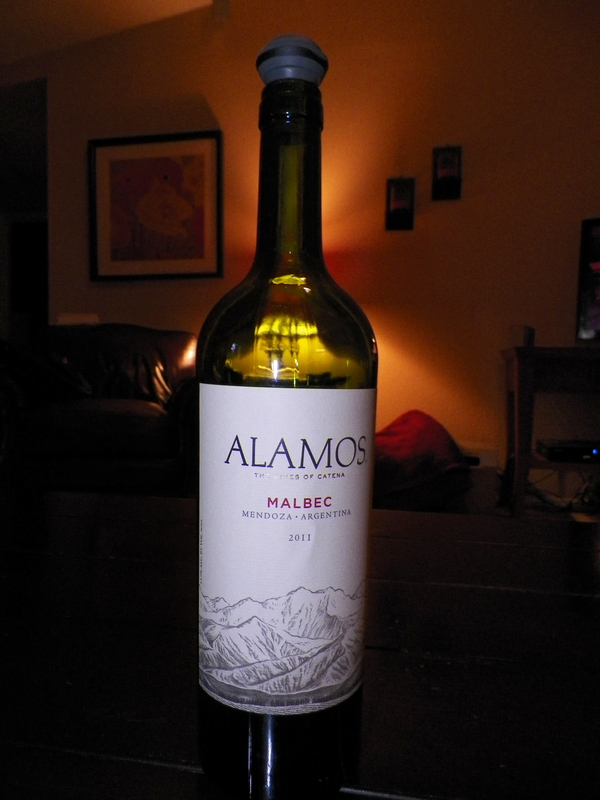 According to about.com: “Malbec is typically a medium to full-bodied, dry red wine with plenty of acidity and higher tannin and alcohol levels.”. I’d say that’s about right … exactly what I was thinking 🙂 hehe.